Town & Country Travel Blog. Dream vacations curated here. If saying it was voted by Conde Naste Traveler as the World’s Best Small Ship Cruise Line isn’t compelling enough, then imagine spending a week on a friend’s private luxury yacht. Unlike the crowded cruise ships left in your wake, you are one of fewer than 300 guests on board. Your yacht is anchored in hidden harbors, docked in tiny ports, and in the heart of charming cities. While others wait for tenders in tedious lines, you swim and kayak off your own Watersports Platform. You step ashore into the center of amazing city scenes to explore the secret charms of places larger ships simply cannot reach. Each meal is a treat for your senses, prepared by a premier chef and served in intimate, impeccable style along with a superb collection of fine wines. Windstar just unveiled their biggest sale of the year for select sailings in 2015 and early 2016 sailing in the Tropics and in Europe. The booking window goes from June 29 – July 10, 2015 so don’t wait to take advantage of these deep discounts. With extremely limited availability (remember these are yachts, not floating cities!) the spaces won’t last long! For more information or to book any of the following sailings, call your Town & Country Vacation Planner at 805-495-9888. 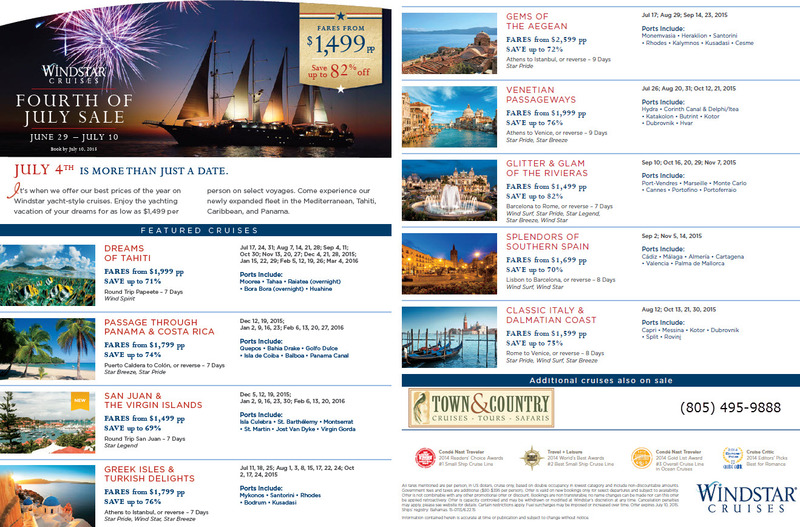 For more information or to book any of these sailings, call your Town & Country Vacation Planner at 805-495-9888. 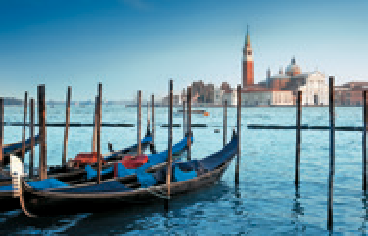 This entry was posted on June 25, 2015 by townandcountrytravel in Special Offers and tagged Windstar cruises; small ship cruise: yacht; luxury cruise; luxury yacht; caribbean cruise; European cruise.